A simply frosted or glazed cupcake is like a blank canvas for creative decorations. Intricate cupcakes are works of art, but piping frosting or rolling fondant can be tricky. 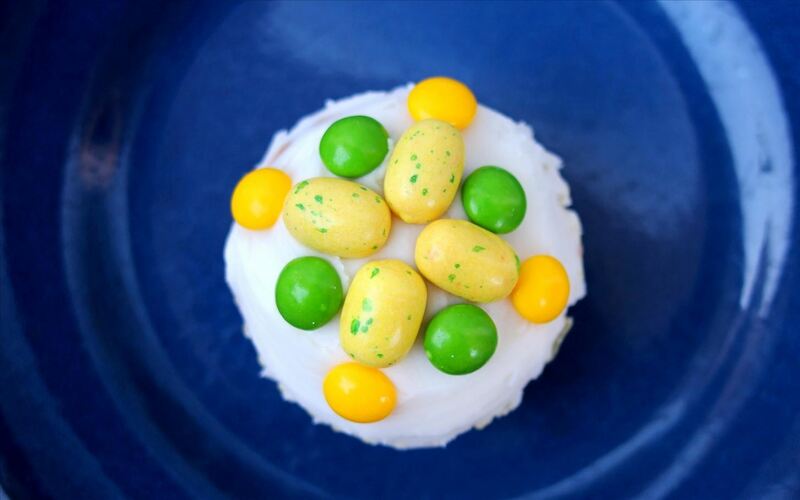 Luckily, even the most craft-challenged person can use pre-made decorations to create party-worthy cupcakes. Use chocolates or candies to make designs or other decorations and you can have endless fun (and very little stress) creating eye-catching treats. 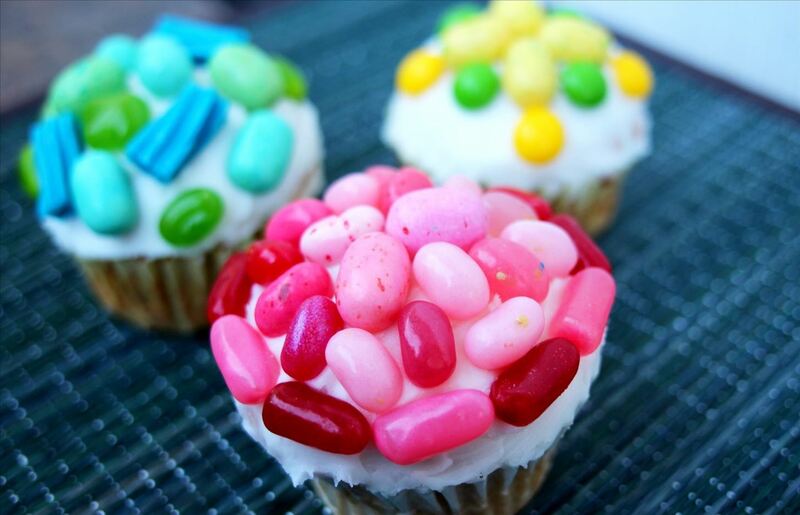 You can use a variety of different candies to create pretty cupcakes in a single shade, in complementary colors, or in a rainbow of hues. 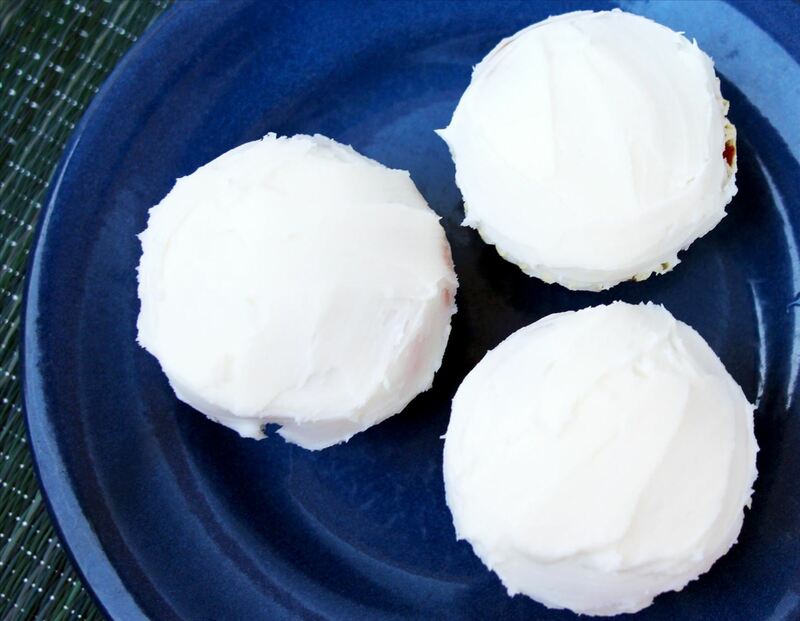 You can use pre-made cupcakes or make homemade ones in any flavor you wish. After the cupcakes have cooled, frost them so that they're nice and smooth. Before you frost them, make sure there's no crumbs hanging around, as they can seriously mess up your decorating plans. Gather a variety of candy in shades you like. For the ones pictured here, I used colored Twizzlers, colored gum shaped like eggs, Skittles, and irregular jelly beans called "belly flops." 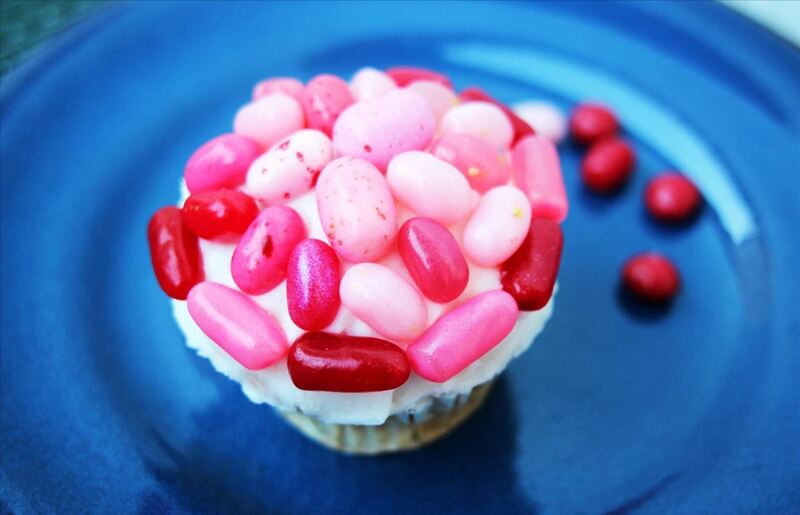 Place candies on the cupcakes, either in a random arrangement or in a more geometric one. That's it. This quick, easy video by Yoyomax is a great tutorial showing you how to create flowers out of fruit roll-ups. Using circular cookie cutters and a simple pinching technique, you can create these pretty and delicious cupcakes at home. 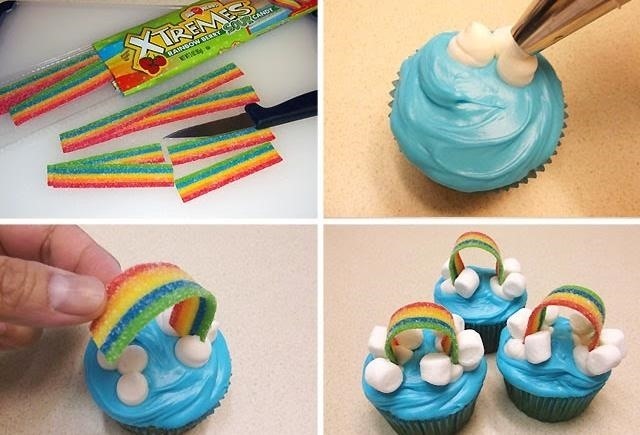 You can also use rainbow candy strips to make the bright and cute cupcakes pictured below. Marshmallow clouds and blue frosting add the finishing touches. 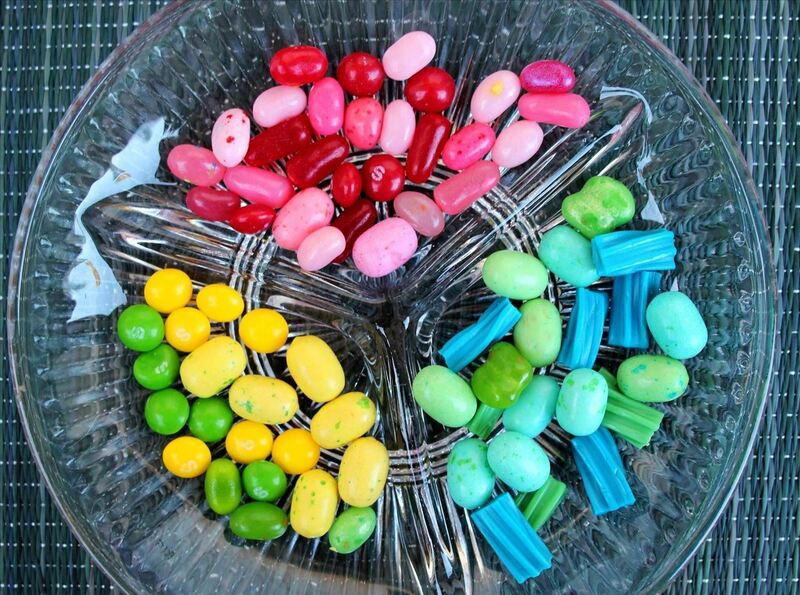 You can create a pretty bird's nest decoration with a swirl of chocolate frosting and pastel-colored candy eggs (or jelly beans). Get the full tutorial at Torie Jayne. 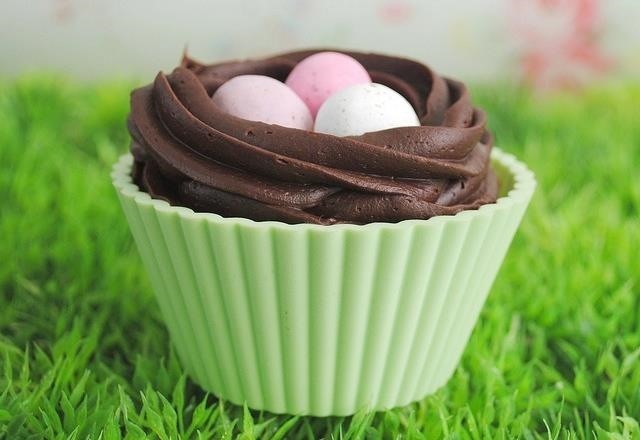 These are lovely for baby showers, spring, Easter, picnics, and garden parties. 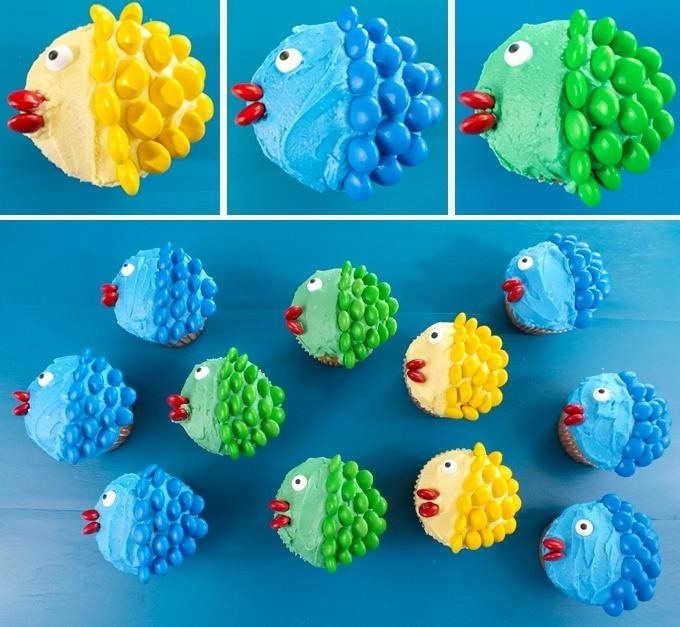 To create more nature-inspired desserts, check out these fish cupcakes from Two Sisters Crafting made with M&Ms. 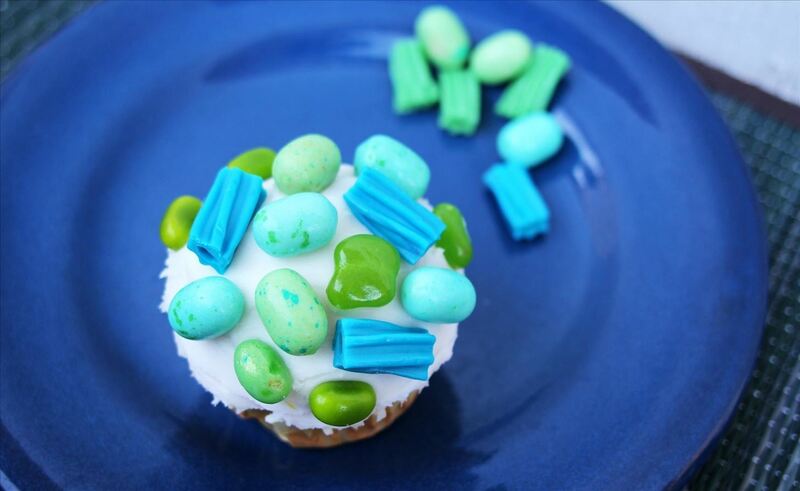 Just like the nest cupcakes above, they just require colored frosting, careful placement, and candies. In this adorable and easy-to-follow video, Rosanna Pansino uses shredded coconut, Swedish fish, gummies, and other candies to create sushi cupcakes.